Founder and Senior Partner of Levin & Perconti, Steve Levin, partner Mike Bonamarte and firm associate, Daisy Ayllon, have all been invited to present the upcoming Strafford live webinar, “Deposing Nursing Home Employees and Owners in Neglect and Abuse Cases,” scheduled for Tuesday, April 9, 1:00pm-2:30pm EDT, 12:00pm-1:30pm CST. Strafford provides attorneys with the information and training they need to advance their career and remain at the top of their fields. Congratulations to Levin & Perconti’s five partners and eight associates selected to the 2019 Illinois Super Lawyers and Rising Stars lists. These honors are reserved for those legal professionals who exhibit excellence in practice. While up to five percent of the lawyers in Illinois are named to Super Lawyers, no more than 2.5 percent are named to the Rising Stars list. Levin & Perconti appreciates all of the blog readers who take the time each week to visit our legal team online and review and share posts. While we do house seven different blogs, the Nursing Home Abuse and Neglect blog entries are some of the most visited and helpful for families and caretakers of nursing home residents (as well as nursing home staff) in Illinois and across the country. 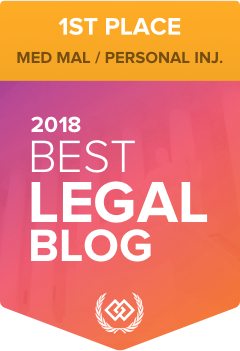 We often hear from clients and community partners how an educational post or newsworthy information about long-term care settings have helped many victims navigate through a confusing system of legalities while we share stories of successful litigation journeys for our nursing home abuse and neglect clients. On July 18th, a Cook County jury gave justice to the family of Dolores Trendel. Awarding $4.1 million dollars, a record-setting verdict under the Nursing Home Care Act, the jury found Assisi at Clare Oaks Senior Living in Bartlett, Illinois, liable for stopping a medication that caused a stroke and ultimately ended 85 year old Dolores Trendel’s life. In January 2011, Ms. Trendel was admitted to Assisi at Clare Oaks to undergo physical therapy after a fall at her Schaumburg home caused a broken hip. Nursing homes are expected to provide the care and supervision our elderly loved ones need as they reach their twilight years. Sometimes, however, a nursing home may fail to offer adequate care, and a resident may be injured. The attorneys at Levin & Perconti represent a woman who was injured due to alleged negligent care in a nursing home. A lawsuit was filed against Lexington Health Care Center of Orland Park Inc. requesting damages of more than $50,000. The Illinois Nursing Home Care Act is legislation that provides rules to protect the rights of nursing home residents. The act requires nursing homes to provide proper care to their patients once they accept them into their facility. Every nursing home resident is different and has unique needs. Regardless of their medical requirements, nursing homes must properly attend to the needs of their patients. If they fail to do so, they could be held responsible should an injury occur.